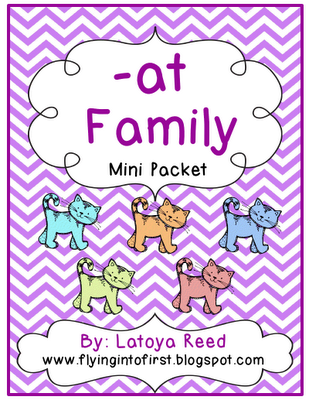 This is a 17 page packet of goodies to use with the at family. This is the first in the start of more units to come using many more word families. Enjoy! Thank you so much for the terrific -at family activities. My kids are just about ready for this. This is perfect... thank you! I look forward to more word families I can purchase to match my spelling lists. You rock! I always heart your stuff. You are very creative. Thanks so much! Those words mean a lot!